BFI Canada Income Fund (the "Fund") (TSX:BFC.UN) today reported strong financial results for the three and nine months ended September 30, 2007. All amounts are in thousands of Canadian dollars, unless otherwise stated. "We continued to advance our growth strategy in the third quarter, resulting in a strong financial performance and an asset base that is well-positioned for the future," said Keith Carrigan, Vice Chairman and Chief Executive Officer. "We achieved revenue growth of 19.3% in the quarter and 16.6% year to date, which drove EBITDA(A) growth of 18.0% in the quarter and 17.4% year to date. Free cash flow available for distribution(B) increased 23.8% in the quarter and 17.8% year to date, resulting in a payout ratio of 65.1% and 76.2% respectively. "Our performance can be attributed to solid organic growth in our Canadian and U.S. segments, coupled with our successful acquisition activity. Organic Canadian and U.S. segment revenue growth, which excludes acquisitions and fuel and environmental surcharges, was 11.0% and 9.2% quarter over quarter, respectively, and 12.0% and 7.5%, year over year, respectively. Contributions from recent acquisitions, including Winters Bros. Waste Systems, Inc., represented a substantial portion of our growth in the quarter. During the quarter, we are pleased to have also closed six "tuck-in" acquisitions and entered a new market in Canada. We are committed to continuing to create value for our investors, through both internal and external growth initiatives." Mr. Carrigan continued, "We would like to extend our appreciation to T. Iain Ronald, a Trustee of the Fund since 2002, who retired effective November 11, 2007. Iain served as the first Non-Executive Chairman of the Fund until 2006. We extend our appreciation to Iain for all of his contributions and his continued support. We would also like to welcome back Douglas W. Knight as a Trustee of the Fund, effective November 11, 2007. Doug previously served as a Trustee of the Fund between April 2002 and January 2005. As President of St. Joseph Media, Inc., Doug brings extensive experience as an entrepreneur and consolidator in the media and publishing sector." Financial Highlights for the Three and Nine Months Ended September 30, 2007 - Total consolidated revenues increased 19.3% and 16.6% to $238.5 million and $666.3 million. - Total consolidated revenue growth, excluding the impact of foreign currency translation, was 24.1% and 18.4%. - Total EBITDA(A) growth, excluding the impact of foreign currency translation, was 22.3% and 19.0%. - Free cash flow available for distribution(B) increased to $48.0 million and $120.9 million or 23.8% and 17.8%. - The Fund's payout ratio was 65.1% and 76.2%. - The Fund's payout ratio excluding the effects of the foreign currency hedge was 67.8% and 78.7%. - Effective August 31, 2007, the Fund acquired Winters Bros. 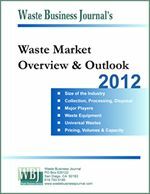 Waste Systems, Inc. ("Winters Bros."), a leading integrated waste services provider based in New York, for total cash consideration, including estimated acquisition and related costs, of $312,515. - Concurrent with the closing of the Winters Bros. acquisition, the Fund entered into a third amendment to its Amended and Restated Revolving Credit and Term Loan Agreement. The amendment increases the total available capacity by U.S. $320,000 and brings the total available lending under the U.S. revolving credit facility to U.S. $575,000. Including the accordion feature, total available credit under the U.S. long-term debt facility is U.S. $825,000. With the exception of certain modified financial covenants and the maintenance of interest rate swaps, all significant terms, including but not limited to pricing and maturity, under the U.S. revolving credit facility remain unchanged. As a condition of the amendedU.S. long-term debt facility agreement, the Fund's U.S. $160,000 note receivable ("U.S. notes") from IESI was effectively cancelled through a restructuring. - Effective August 28, 2007, the Fund received all of the necessary permits for the expansion of its Seneca Meadows landfill. Based on current volumes, management expects the operating life of the site to extend through 2023. - Effective August 31, 2007, the Fund's Calgary landfill received an operating permit which management expects will allow the site to continue accepting waste through 2010. - Effective April 5, 2007, the Fund closed a 3,100 trust unit offering at $26.10 per trust unit. In addition, the underwriters exercised their over-allotment option to acquire an additional 465 trust units. The Fund applied the net proceeds from the offering, approximately $87,600, against advances from its U.S. revolving credit facility. - Effective March 21, 2007, the Fund entered into aSecond Amending Agreement to its Fourth Amended and Restated Credit Agreement. The second amendment increases the total committed Canadian segment credit to $150,000 from $80,000 and the total available credit from this facility, subject to lender consent, to $200,000 from $120,000. The maturity date was extended to May 30, 2011 from June 30, 2010, and the maturity date remains subject to one year extensions. - Effective March 28, 2007, the Fund entered into a new 15 year agreement for variable rate demand solid waste disposal revenue bonds ("IRBs") in the state of Texas. 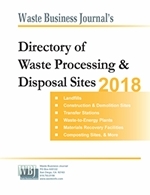 The IRBs are made available, to a maximum of U.S. $24,000 and are available to fund a portion of landfill construction activities, and equipment, vehicle, and container expenditures in the Fund's Texas operations. The IRBs bear interest at a discount to LIBOR. A portion of the Fund's drawings under this facility was used to repay the Fund's U.S. revolving credit facility with the balance used to finance landfill construction activities, and equipment, vehicle, and container expenditures. At September 30, 2007, approximately U.S. $2,600 of cash was restricted for the purpose of financing future activities and expenditures. - For the three months ended September 30, 2007, and excluding the acquisition of Winters Bros., the Fund completed one new market acquisition in the Fund's Canadian segment, and completed six "tuck-in" acquisitions. For the nine months ended September 30, 2007, and excluding the acquisition of Winters Bros., the Fund completed two new market acquisitions, in the Fund's Canadian and U.S south segments, and completed 14 "tuck-in" acquisitions. Aggregate cash consideration, excluding the Winters Bros. acquisition, was approximately $12,500 and $47,500, respectively. - As previously noted, the Trustees continue to actively work with management to review the Fund's corporate structure in light of changes to the taxation of income trusts as it relates to the Fund's continuous improvement and growth strategy. A significant portion of the Fund's operating results, maintenance capital and landfill expenditures ("maintenance expenditures"), interest on long-term debt, and cash income taxes reported in Canadian dollars, originate in the U.S. Operating expenses, maintenance expenditures, interest on long-term debt, and cash income taxes originating in the U.S. are settled in U.S. dollars generated from U.S. operations which results in a natural cash flow hedge. A portion of the resultant free cash flow available for distribution(B) is hedged by three single rate hedge agreements through February 2008 to purchase 4,500 Canadian dollars monthly at an average foreign currency exchange rate of approximately $1.222. Readers are reminded that a significant portion of the Fund's financial results originate in the U.S. The impact of foreign currency exchange on the Fund's consolidated results is included in the Fund's MD&A for the three and nine months ended September 30, 2007. The discussions to follow are in addition to the impact of foreign currency exchange fluctuations as detailed in the Fund's MD&A for the three and nine months ended September 30, 2007. The increase in consolidated revenues for the three months ended is due in part to organic Canadian and U.S. segment growth, where organic growth excludes the impact of fuel and environmental surcharges, acquisitions, and foreign currency translation. Aggregate growth through acquisition and higher fuel and environmental surcharges also contributed to the period over period change. The increase in consolidated revenues for the nine months ended is due in part to organic Canadian and U.S. segment growth, defined above. Aggregate growth through acquisition also contributed to the period over period change. The unfavourable impact of foreign currency translation was partially offset by higher fuel and environmental surcharges. Higher total disposal and labour costs are attributable to higher collected waste volumes and higher costs to service new and existing customers, contracts, and acquisitions for the three and nine months ended. The balance of the total change for both periods is due principally to higher vehicle operating costs and repairs and maintenance expense partially offset by a decline in insurance expense. Higher total salaries, including long-term incentive plan ("LTIP") accruals, are the primary reason for the period over period increases. Organic and acquisition growth, coupled with additional sales efforts are the primary reasons for the increases in total salaries. Higher facility and office costs and travel expenditures are the primary reason for the balance of change in both periods. Effective July 6, 2007, the Canadian Securities Administrators ("CSA") amended National Policy 41-201 - Income Trusts and Other Indirect Offerings. Amended policy changes, which includes the concept of maintaining productive capacity, has resulted in a change to the Fund's calculation of free cash flow available for distribution(B). The Fund has historically viewed costs to maintain the productive capacity of its limited life landfills as a cost funded from excess free cash flow available for distribution(C). Accordingly, such amounts have not been included in the Funds determination of free cash flow available for distribution(B). Costs incurred to maintain the productive capacity of landfills are included in the Fund's landfill asset amortization rate per tonne and effective July 6, 2007 the Fund has elected to charge these amounts to the calculation of free cash flow available for distribution(B). The impact of this change is reflected through all free cash flow available for distribution(B) amounts disclosed in this press release. Costs incurred to develop a replacement or new landfill site are deferred until such time as the replacement site is successfully permitted. Upon successful permitting, these costs are included in the Fund's landfill asset amortization rate per tonne and are charged to free cash flow available for distribution(B). Free cash flow available for distribution(B) totalled $48,001 and $120,858 for the three and nine months ended September 30, 2007 versus $38,762 and $102,574 for the comparative periods, respectively. Free cash flow available for distribution(B) per weighted average trust unit and PPS for the three and nine months ended September 30, 2007 amounted to $0.70 and $1.79 and is $0.11 and $0.22 higher than the comparative periods, respectively. Maintenance and growth expenditures include amounts accrued in respect of capital and landfill assets received for which payment of such amounts remains outstanding at the end of any period or year. For the three months ended September 30, the Canadian segment decline is due in large part to the timing of expenditures and is not attributable to one specific or collective group of expenditure(s) or asset class. The U.S. segment increase is due principally to a larger business base, which is the result of solid organic and acquisition growth, and increasing costs to purchase maintenance capital. For the nine months ended September 30, the Canadian and U.S. segment increases are due principally to vehicle expenditures. The primary reasons for the increases are consistent with those outlined above for the U.S. segment for the three months ended. Maintenance expenditures are generally concentrated in the first three quarters of each year, which may result in the declaration and payment of distributions that are in excess of free cash flow available for distribution(B) for these quarters. The Fund's historical cumulative payout ratio is 82.3% from inceptionto September 30, 2007. The Canadian segment decrease in growth expenditures for the three months ended is due largely to landfill cell construction, relative to consumption, where comparative net consumption exceeded construction. Higher landfill cell construction and municipal contract wins are the primary reasons for the increase in U.S. segment growth expenditures for the three months ended September 30. Canadian segment residential contract wins which commenced in the nine months ended September 30, 2006 exceeded those that commenced in nine months ended September 30, 2007 resulting in a decline in comparative period over period growth expenditures. The timing of landfill cell construction expenditures and municipal contract wins are the primary reasons for the U.S. segment increase in growth expenditures. Effective August 31, 2007 and concurrent with the closing of the Winters Bros. acquisition, the Fund entered into a third amendment to its Amended and Restated Revolving Credit and Term Loan Agreement. The amendment makes available an additional U.S. $320,000 bringing the total available capacity under the U.S. revolving credit facility to U.S. $575,000. With the exception of certain modified financial covenants and the maintenance of interest rate swaps, all significant terms, including but not limited to pricing and maturity, under the U.S. revolving credit facility remain unchanged. The previous long-term debt facility required IESI to maintain interest rate swaps for not less than 60% of its variable rate interest payable on the term loan, but not more than 50% of the total drawn facility. This condition has been modified and now requires IESI to maintain not less than 40% of total funded debt on a fixed rate basis within 30 days from the third amendment date. Both the Canadian and U.S. long-term debt facilities have an accordion feature which can increase the available capacity of the Canadian revolving credit facility from $150,000 to $200,000 and can increase the available capacity of the U.S term loan and revolving credit facility from U.S. $770,000, in aggregate, to U.S. $825,000, in aggregate, subject to certain restrictions. Amortization -- as a non-cash item amortization has no impact on the determination of free cash flow available for distribution(B). Interest on long-term debt -- interest on long-term debt is a function of the Fund's debt/equity mix and interest rates; as such, it reflects the treasury/financing activities of the Fund and represents a different class of expense than those included in EBITDA. Financing costs -- financing costs are a function of the Fund's treasury/financing activities and represents a different class of expense than those included in EBITDA. Net gain or loss on sale of capital and landfill assets -- the net gain or loss on sale of capital and landfill assets has no impact on the determination of free cash flow available for distribution(B), because the proceeds were either reinvested in other capital assets or used to repay the Fund's revolving credit facility. Net gain or loss on financial instruments -- as non-cash items, gains or losses on financial instruments have no impact on the determination of free cash flow available for distribution(B). Net foreign exchange gain or loss -- as non-cash items, foreign exchange gains or losses have no impact on the determination of free cash flow available for distribution(B). Write-off of deferred financing costs -- as a non-cash item, write-off of deferred financing costs has no impact on the determination of free cash flow available for distribution(B). Other expenses -- other expenses represent amounts paid to management of the Fund on the closing of the IESI acquisition and are not considered an expense indicative of continuing operations. Accordingly, other expenses represent a different class of expense than those included in EBITDA. Income taxes -- income taxes are a function of tax laws and rates and are affected by matters which are separate from the daily operations of the Fund. Non-controlling interest -- non-controlling interest represents a direct non-controlling equity interest in IESI through PPS holdings. Accordingly, non-controlling interest represents a different class of expense than those included in EBITDA. (B) The Fund has adopted a measurement called "free cash flow available for distribution" to supplement net income as a measure of operating performance. Free cash flow available for distribution is a term which does not have a standardized meaning prescribed by GAAP and is therefore unlikely to be comparable to similar measures used by other issuers. The objective of presenting this non-GAAP measure is to calculate the amount which is available for distribution to trust unitholders and participating preferred shareholders. Participating preferred share holdings are presented as non-controlling interest in the consolidated financial statements of the Fund; however, management of the Fund have elected to include the shareholdings of the participating preferred shareholders in the calculation of free cash flow available for distribution as participating preferred shares receive distributions that are economically equivalent to those received by trust unitholders and participating preferred shares are exchangeable on a one-to-one basis for trust units of the Fund. Details of the calculation are included in the "Other Performance Measures -- Free cash flow available for distribution(B)" section of the Fund's MD&A. Free cash flow available for distribution is not necessarily indicative of cash available to fund cash needs and should not be considered an alternative to cash flow as a measure of liquidity. All references to "free cash flow available for distribution" in this press release have the meaning set out in this note. (C) Excess free cash flow available for distribution represents the result of free cash flow available for distribution(B) less distributions declared. This document may contain forward-looking statements relating to the Fund's operations or to the environment in which it operates, which are based on the Fund's operations, estimates, forecasts and projections. These statements are not guarantees of future performance and involve risks and uncertainties that are difficult to predict, or are beyond the Fund's control. A number of important factors could cause actual outcomes and results to differ materially from those expressed in these forward-looking statements. These factors include those set forth in the Fund's Annual Information Form for the period ended December 31, 2006. Consequently, readers should not rely on such forward-looking statements. In addition, these forward-looking statements relate to the date on which they are made. Although the forward-looking statements contained herein are based on what management believes to be reasonable assumptions, the Fund cannot assure unitholders that actual results will be consistent with these forward looking statements, and the Fund disclaims any intention or obligation to update or revise any forward-looking statements, whether as a result of new information, future events or otherwise. The Fund, through its operating subsidiaries, is one of North America's largest full-service waste management companies, providing non-hazardous solid waste collection and disposal services for commercial, industrial, municipal and residential customers in five Canadian provinces and ten states in the United States. The Fund serves over 1.2 million customers with vertically integrated collection and disposal assets. The Fund's Canadian segment operates under the BFI Canada brand and is Canada's second largest full-service waste management company providing integrated non-hazardous solid waste collection and landfill disposal services in the provinces of British Columbia, Alberta, Manitoba, Ontario and Quebec. The Canadian segment operates one and owns and operates four landfills, carries on solid waste collection operations in 20 markets and operates four transfer collection stations, seven material recovery facilities and one landfill gas to energy facility. The Fund's U.S. operations provide integrated non-hazardous solid waste collection and landfill disposal services in two geographic regions: the south, consisting of various service areas in Texas, Louisiana, Oklahoma, Arkansas, Mississippi and Missouri, and the northeast, consisting of various service areas in New York, New Jersey, Pennsylvania and Maryland. The U.S. south and northeast segments operate in 38 markets and operates 32 transfer stations, 17 landfills and five material recycling facilities. The Fund's units are listed on the Toronto Stock Exchange under the symbol BFC.UN. For more information on the Fund, visit www.bficanada.com. Management will hold a conference call on November 13, 2007 at 8:30 am (EDT) to discuss results for the three and nine months ended September 30, 2007. To access the call, participants should dial 416-644-3417 or 1-800-732-9307 at approximately 8:20 am (EDT). The conference call will also be webcast live at www.bficanada.com and subsequently archived on the BFI Canada website. A rebroadcast of the call will be available until midnight on November 27, 2007. To access the rebroadcast, dial 416-640-1917 or 1-877-289-8525 and quote the reservation number 21250205#.